The Hudson Highlands abound with vernal pools, making the perfect breeding ground for a variety of salamanders and frogs. Coincidentally they make a perfect habitat for wild blueberries and their associated pollinators. 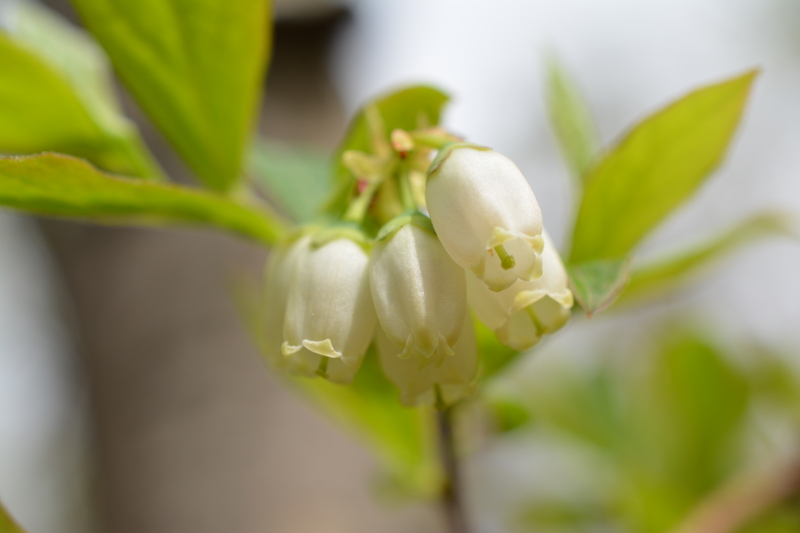 For a few years now I have known of one “Blueberry Pond” surrounded with bushes taller than a person can reach and sporting thousands of tiny white bell shaped flowers each spring. On numerous days in May, while the flowers were in full bloom, I waited knee deep in water, curious to see who would come along and pollinate this wild crop of berries. The most common visitors were bumblebees, carpenter bees and a few honeybees. It is also probable that here on the northern end of their range they could be visited by the southeastern blueberry bee, a digger bee that looks very much like the bumblebee. I will keep a look out for this bee whose life cycle coincides with the blossoming of the blueberry. Like many native plants to North America, blueberry flowers require a special kind of pollination, called “buzz pollination” where the pollen must be literally shaken out of the flower. The bee grabs on to the flower and literally vibrates their flight muscles forcing the pollen to loosen from the anthers of the flower. Other buzz pollinated plants include cranberries, tomatoes and egg plant. The native bees that have co-evolved with these flowers have perfected this art of pollination that eludes non-native bees. A recent study of blueberry plants found the more diversity of pollinators that are present the more fruit that is produced. This of course is another feather in the cap for diversity in an ecosystem. For blueberry farmers this translates into higher yields and more money. In the case of “Blueberry Pond”, hidden from the economic woes of humans, the berry laden branches are most assuredly visited by a healthy and diverse group of pollinating bees. The berries themselves are left for the birds.